The first breathtaking screenshots of Konami and tri-Ace’s upcoming Nintendo 3DS RPG title, Beyond the Labyrinth, have been released by Famitsu, following the Japanese magazine’s unveiling of the game yesterday. 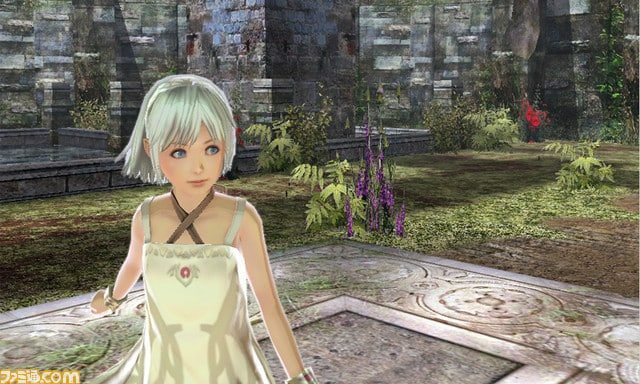 Beyond the Labyrinth is described as being a 3D dungeon RPG that features a young girl as the storyline’s central character. The visuals are purposefully bright and colourful, and will see player’s navigating their way through ruins and similar locations. tri-Ace are hoping that it will become a major draw for both existing and new Nintendo 3DS owners, whilst confirming that development was 60% complete. As of yet there is no word on a release date.